Today I'm sharing my last card as a Tutti Designs designer. 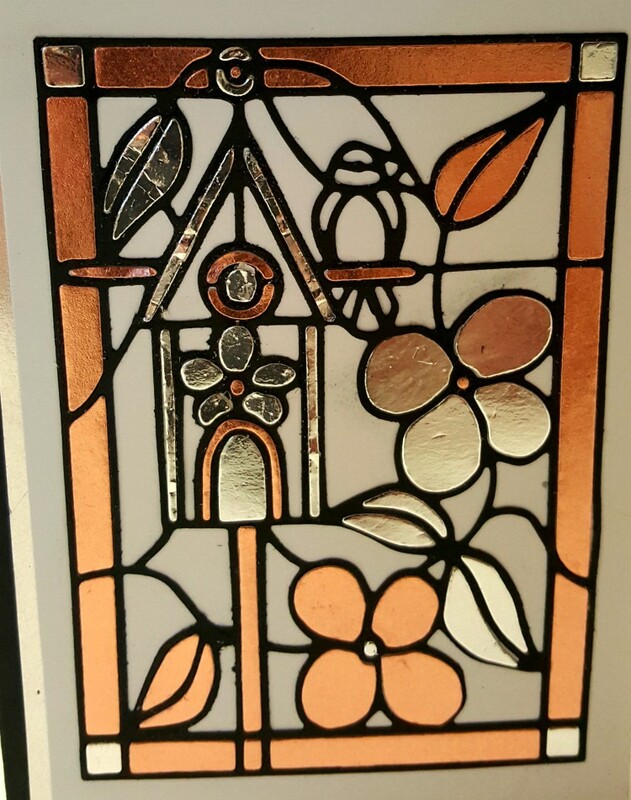 A year sure flew by fast ! 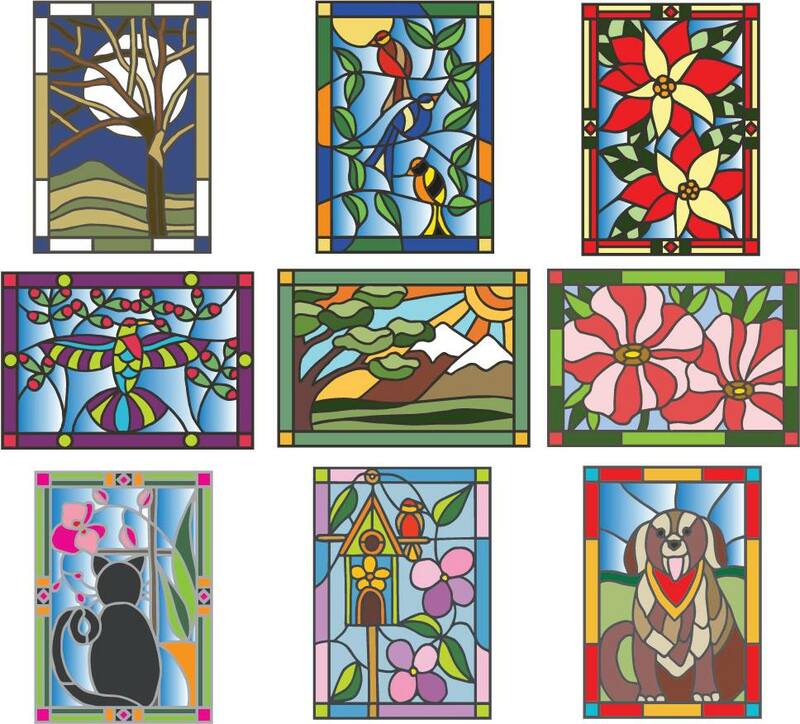 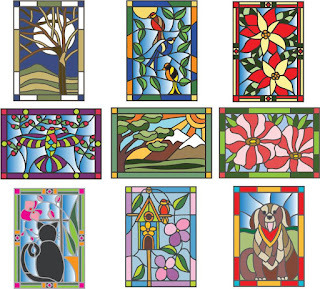 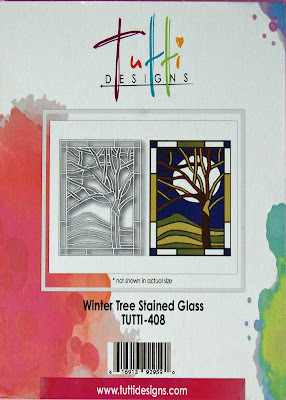 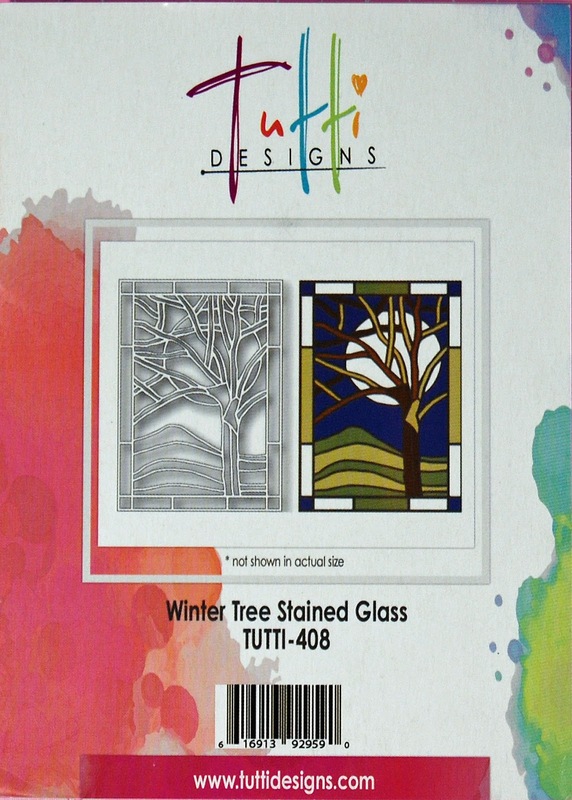 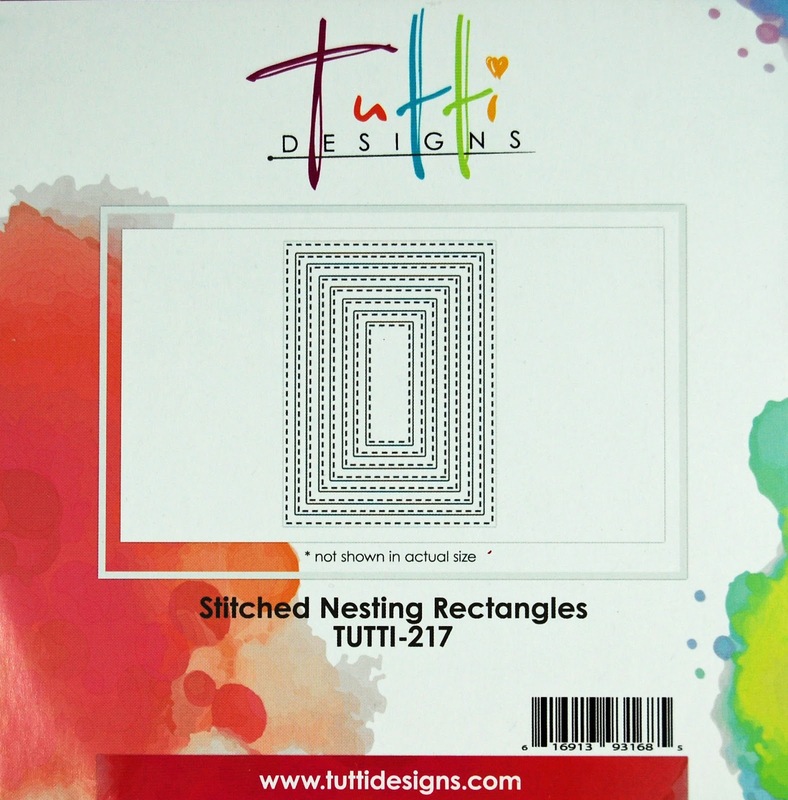 I wanted to say how much I have enjoyed being on the Tutti Designs team! 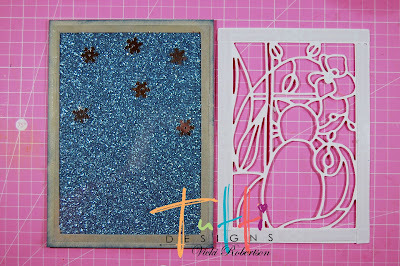 Thank you Bailey and Darlene for having me and of course for all the beautiful dies! 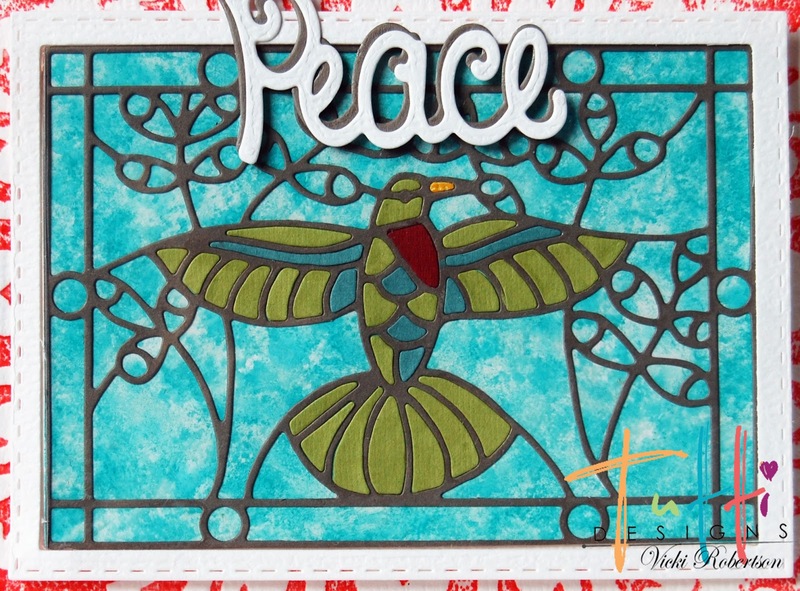 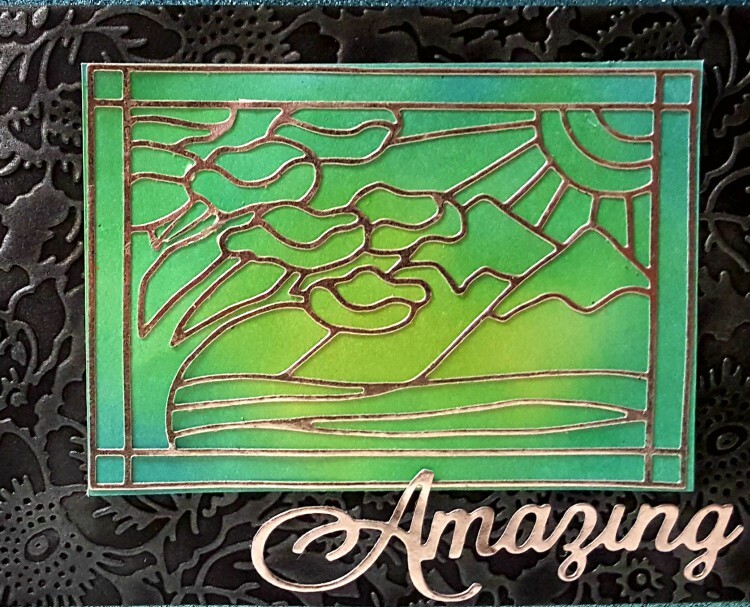 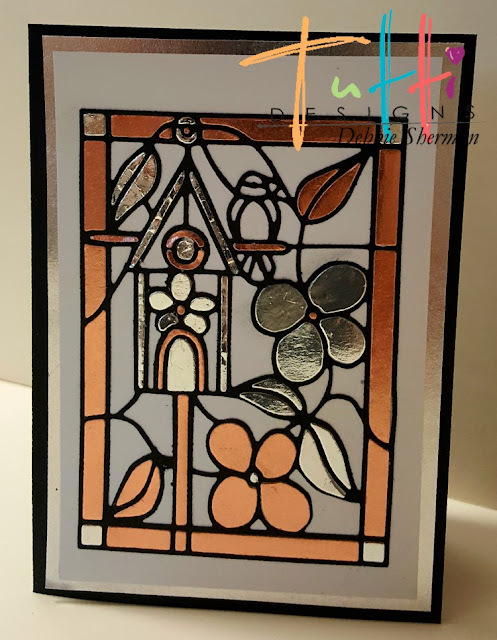 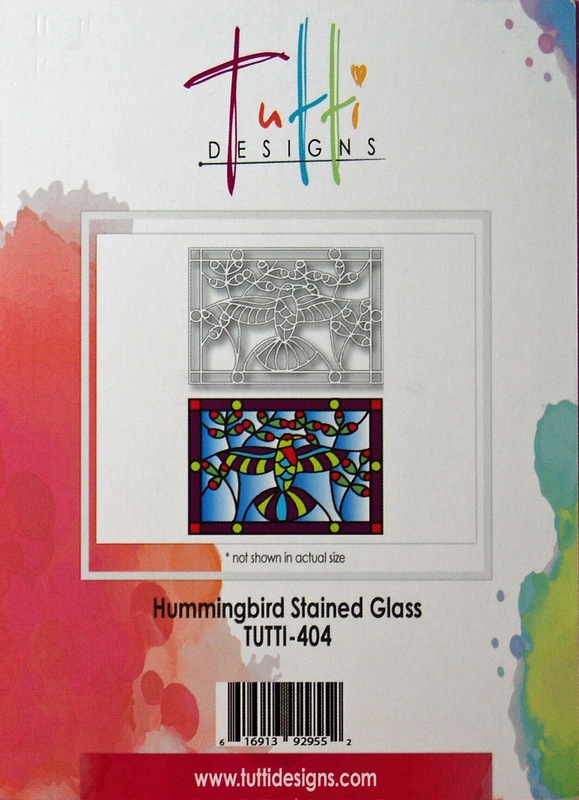 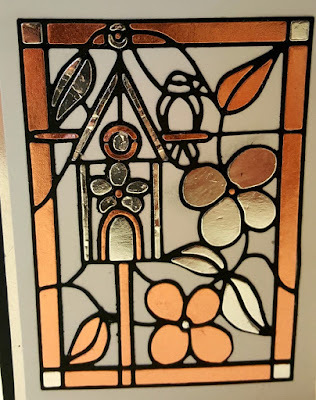 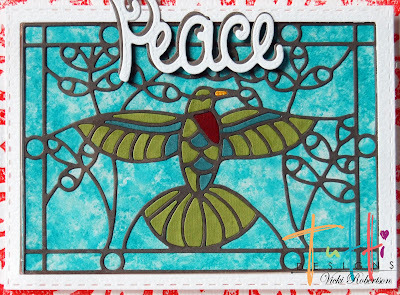 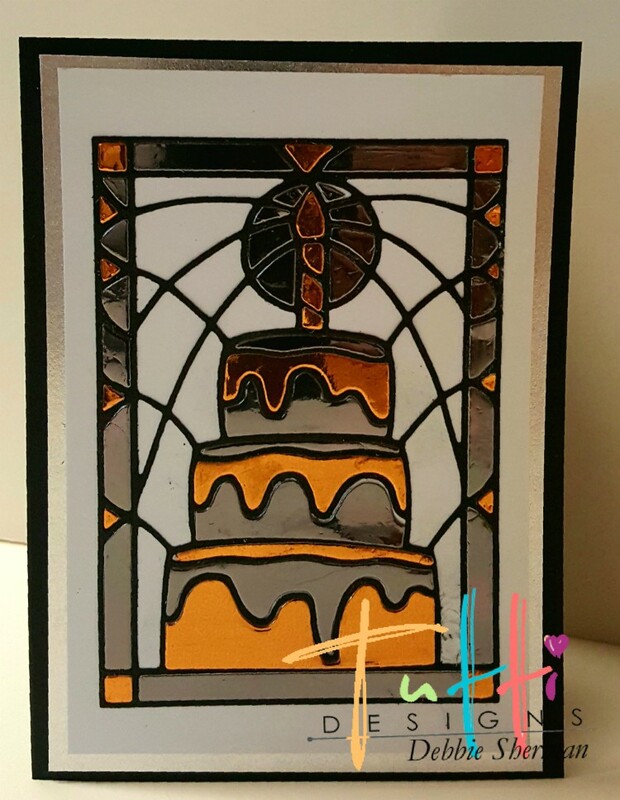 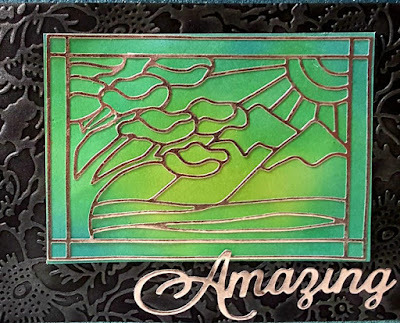 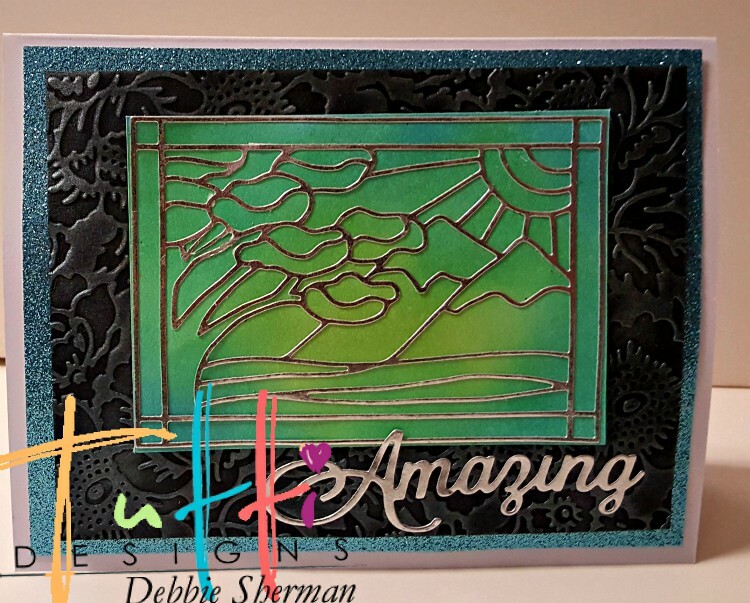 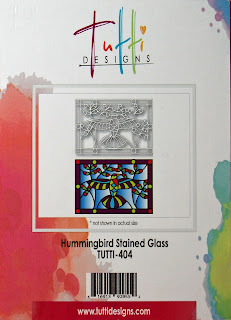 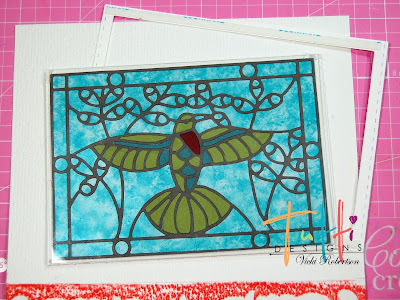 For this card I used the Landscape Stained Glass Die. 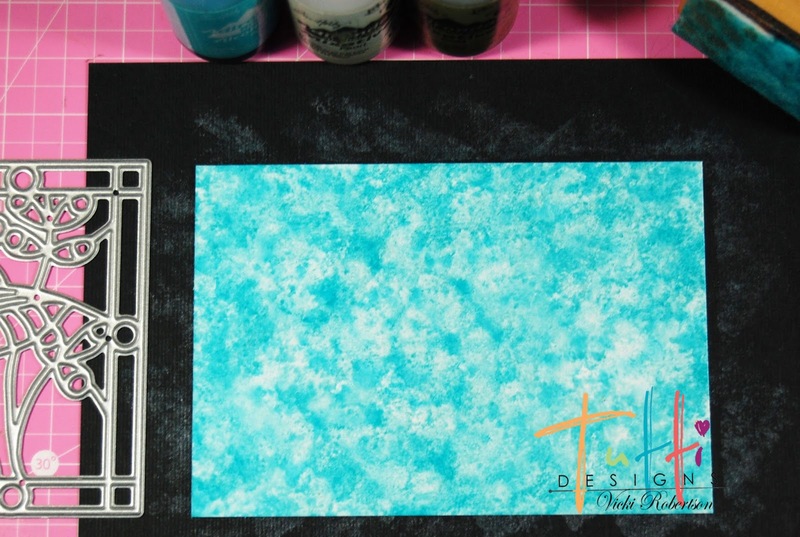 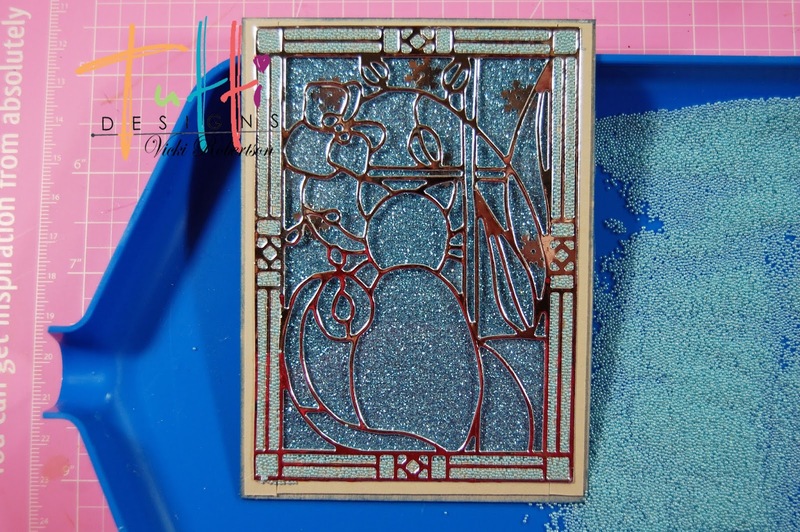 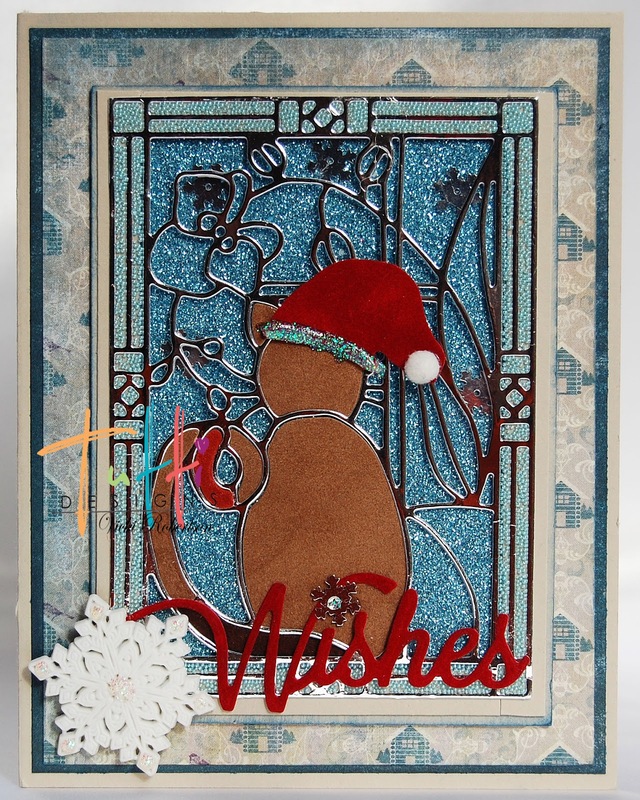 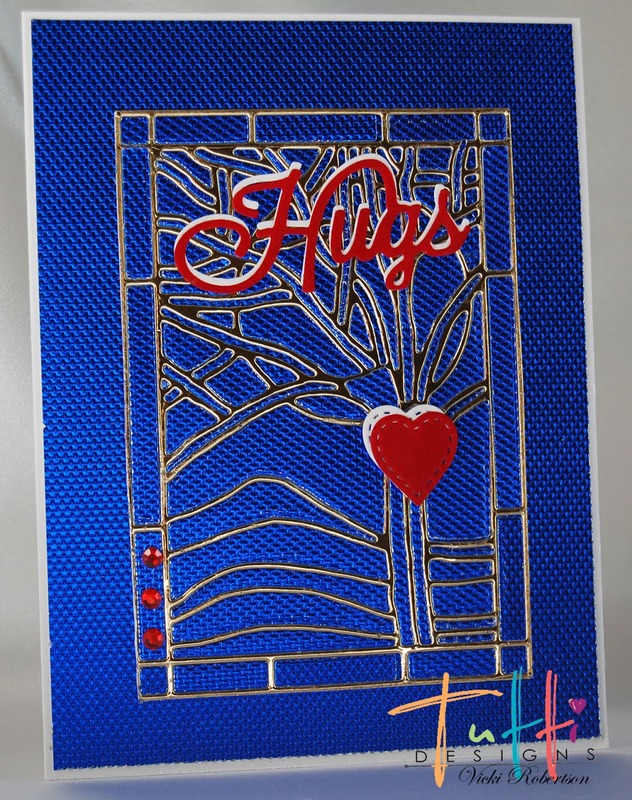 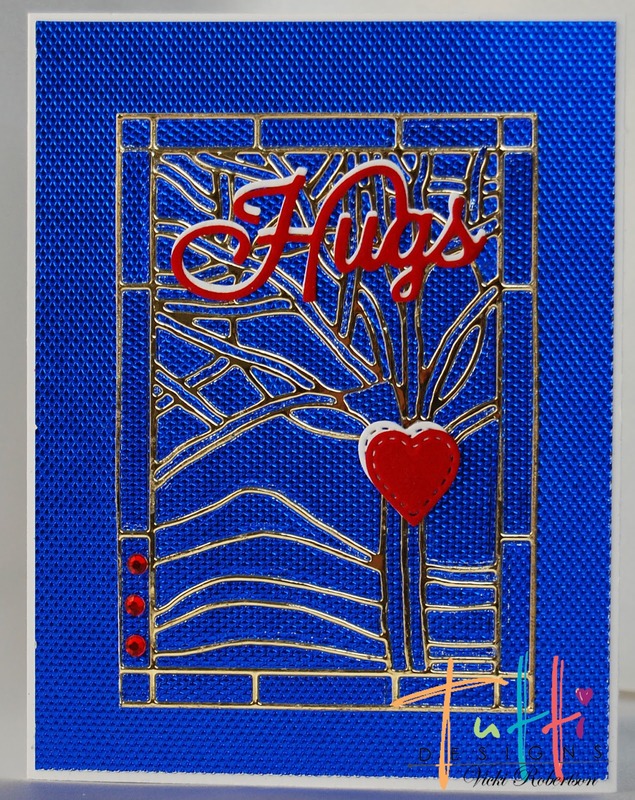 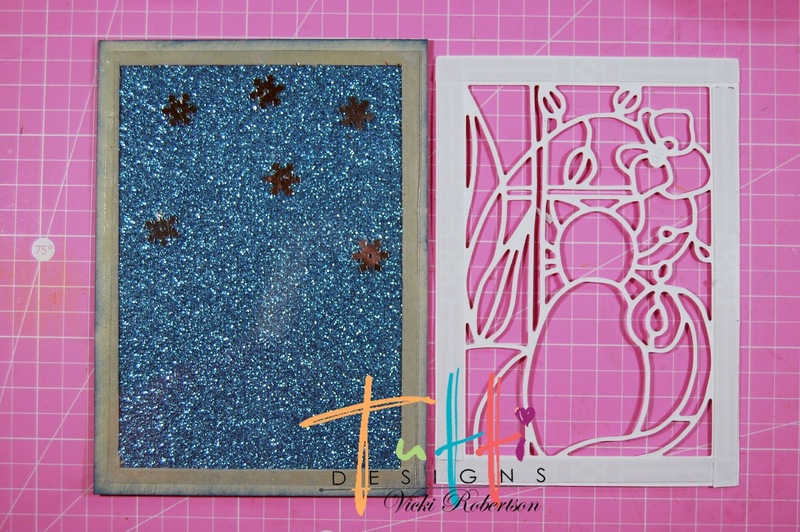 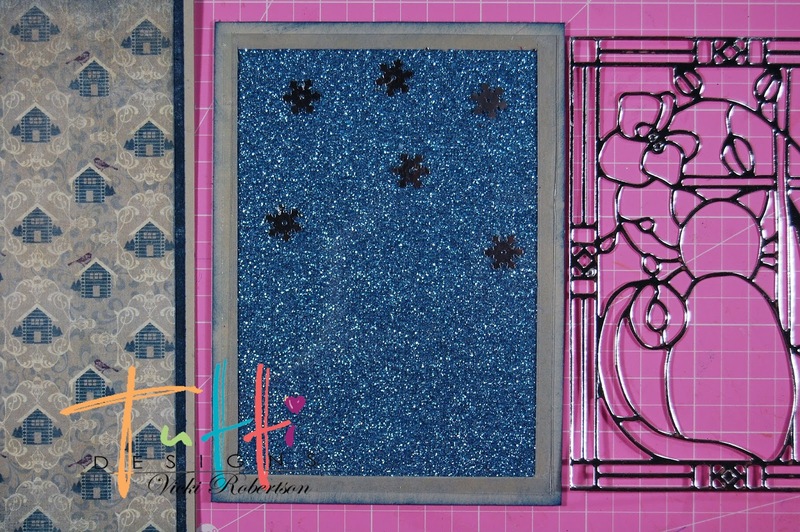 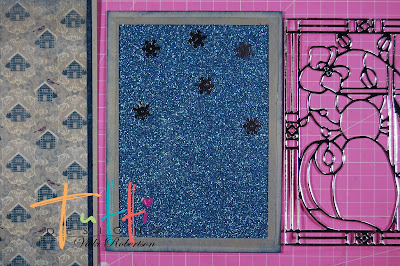 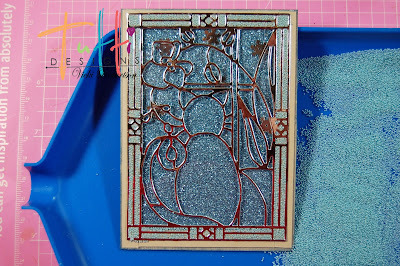 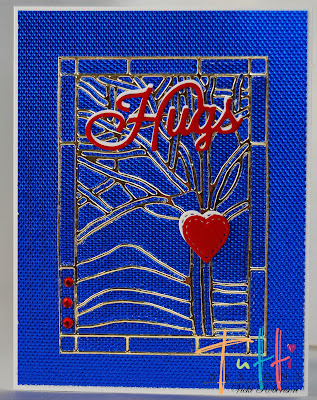 To make this card I I used a white card base, with a Blue Glitter Card stock Mat and an embossed black mat. 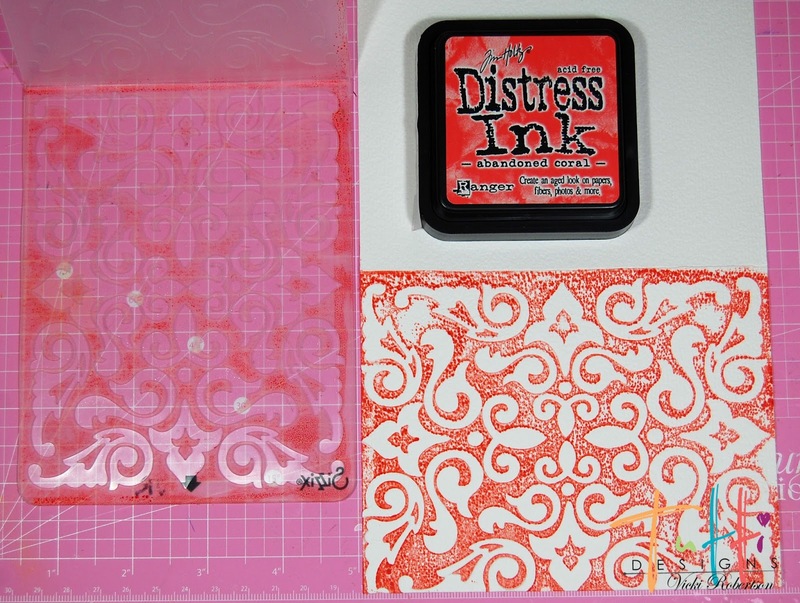 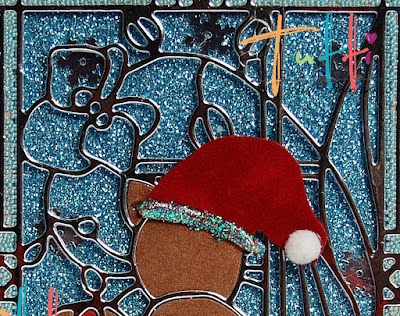 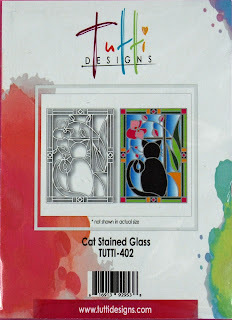 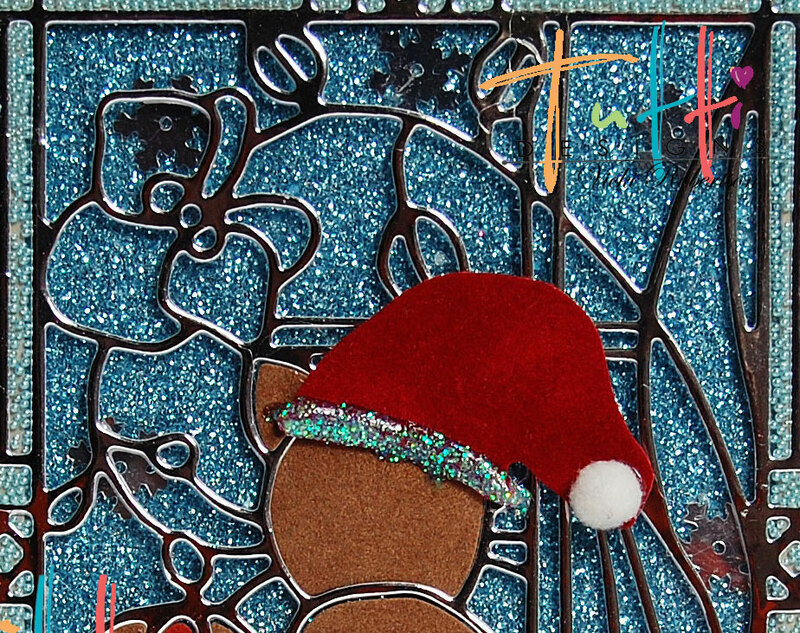 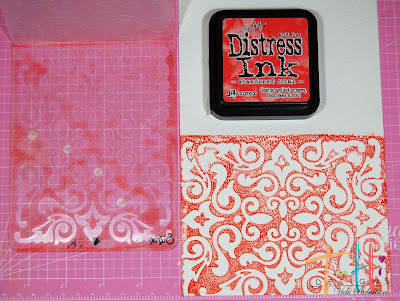 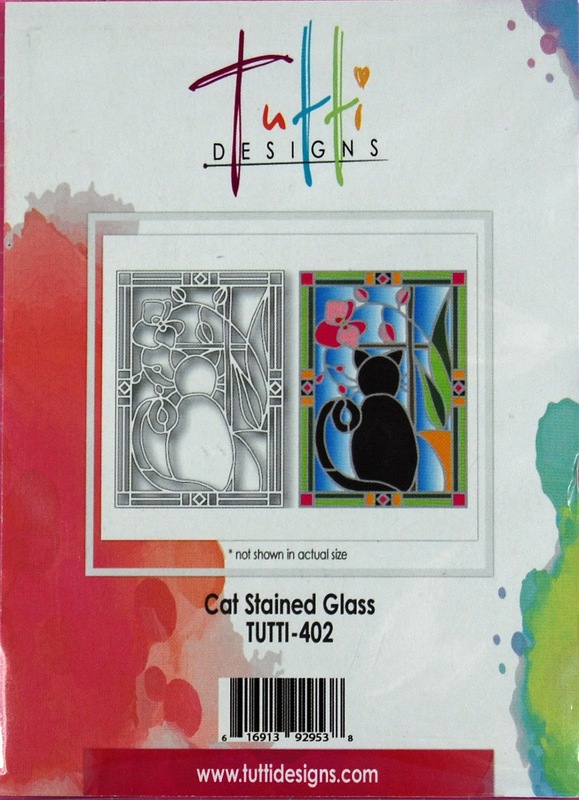 You will be cutting out 1 die cuts with this die, cut it from Silver foil card stock. Cut a background from one for the die cut from white card stock and using your distress inks and a dauber color in the white card stock. 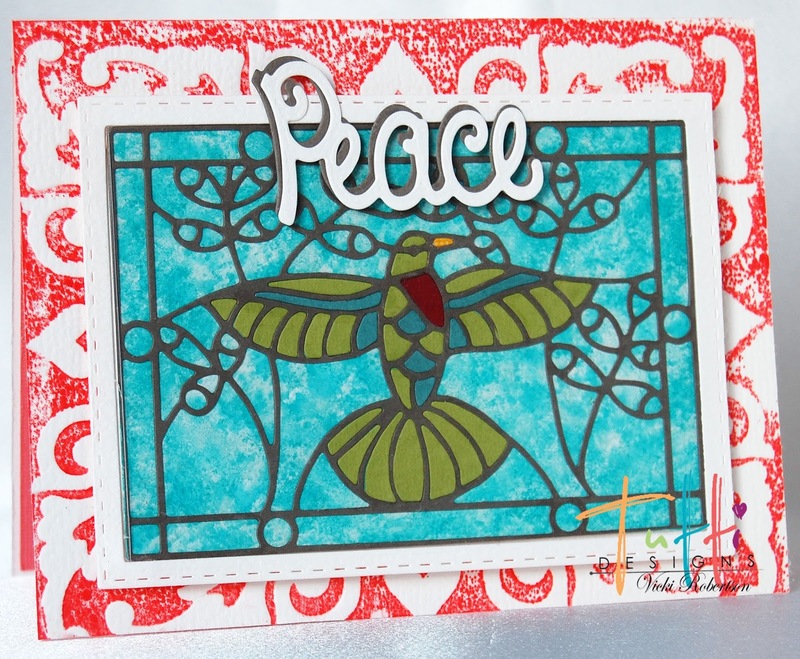 Adhere it to your die cut. 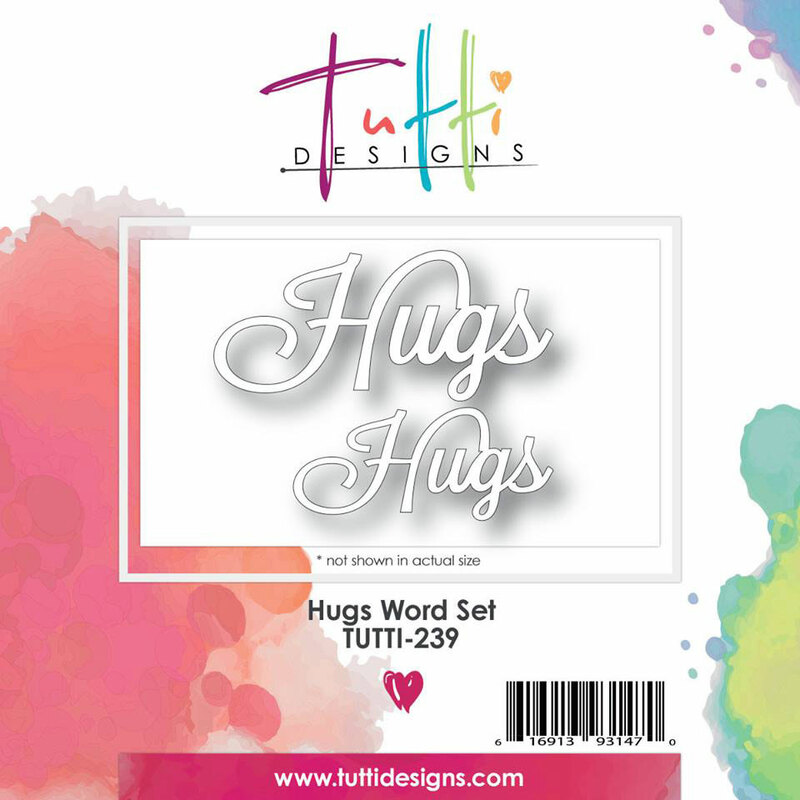 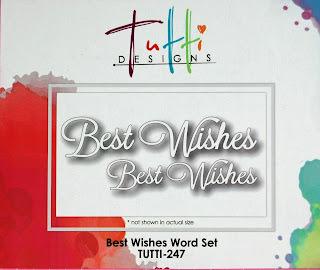 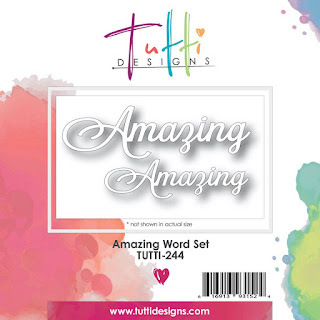 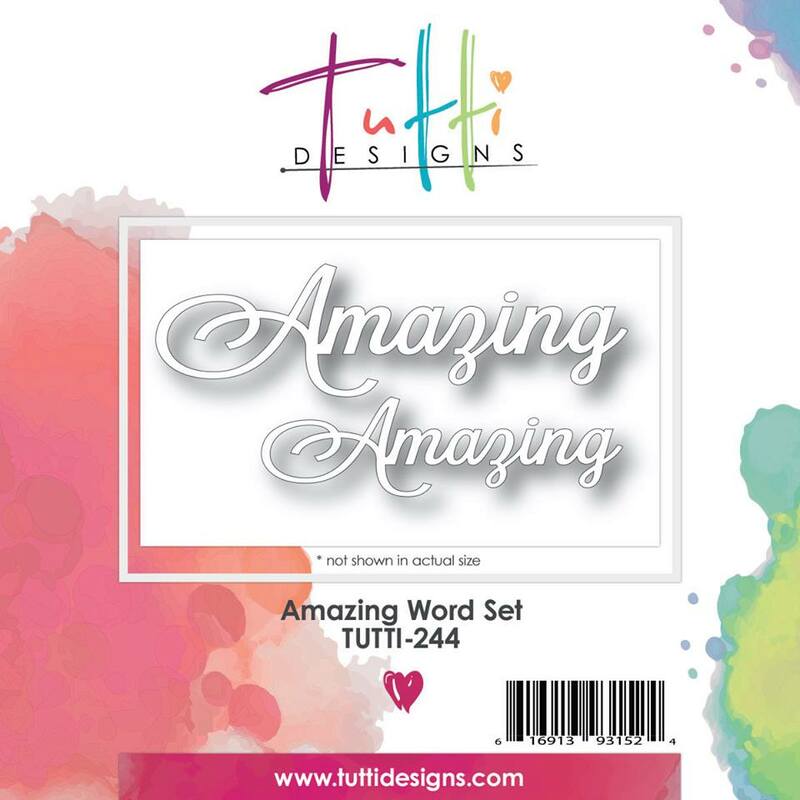 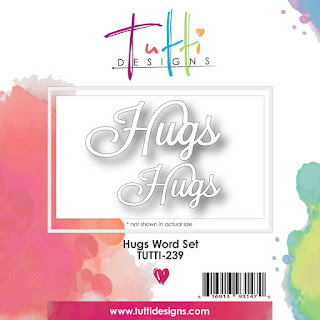 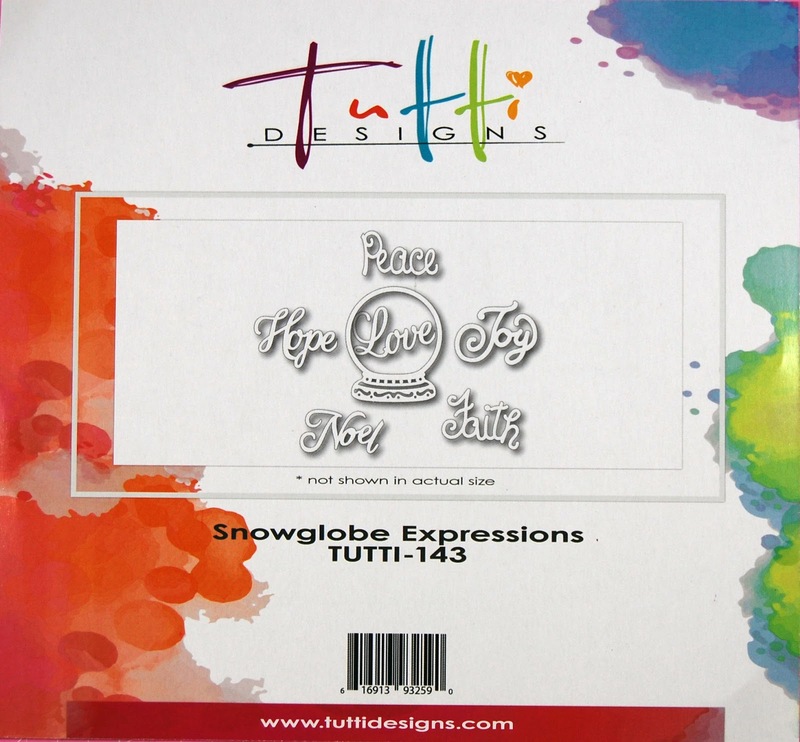 Add a sentiment using the Tutti Designs Amazing Word Set Dies and these fun cards are ready to send!